Each Friday we highlight a wine from the Northwest that we think is a real "find". By find we might mean that it's a steal, as all of these wines we'll feature weekly are at or under $20. We might also mean, "Hey, you really need to go find this", and it might be a wine that we feel not enough people know about. In any case, with the weekend pending, we're hoping to help you "find" a wine to kickoff the weekend right. We'll tell you a little bit about the wine and try to help you track it down here in the Northwest. I don't really take summer vacations in the summertime. I mean, I don't really like the term staycation, it's like rom-com to me, annoying, but I have a hard time arguing with it's ability to get to the heart of the matter. So when I go on vacation in the summer, I go on a, well, a staycation. There's a reason for this. 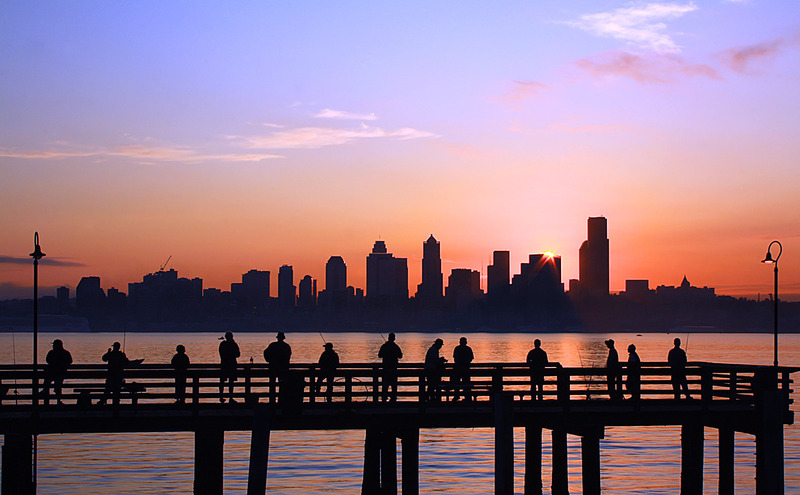 Seattle is paradise/nirvana/perfect in the summertime. This has long been suspected by those of us who live here but now it's been substantiated as a fact. Seriously, why would you go anywhere else? There are times through our Fall, Winter and Spring, none of which you can really tell apart that you want to pull your hair out, it's dark and it's wet. It's the kind of dark and wet that actually penetrate through to your soul. It's godawful. That's a great time to travel, the hell away from here. Summer is not. This week meteorologist Cliff Mass laid the truth on us. It's more or less what we already knew, but he gave us the lowdown on why this place is so unbelievable in the summertime. There are lots of "sciency" things at play, but it boils down to the fact that the Pacific Ocean and the Puget Sound mix up their magic fairy dust and they sprinkle it all over us. This leads too moderate temperatures, our average summer high is under 75 degrees, cool sleeping temperatures at night, the average under 53 degrees. Pretty perfect. Mix in the dew point and humidity, or lack there of, perfect. Magic fairy dust. This week's Friday Find doesn't come from a Seattle winery, though had I thought of that, it would have been pretty convenient. Instead it's from Southern Oregon and Foris Vineyards, their 2012 Pinot Blanc. 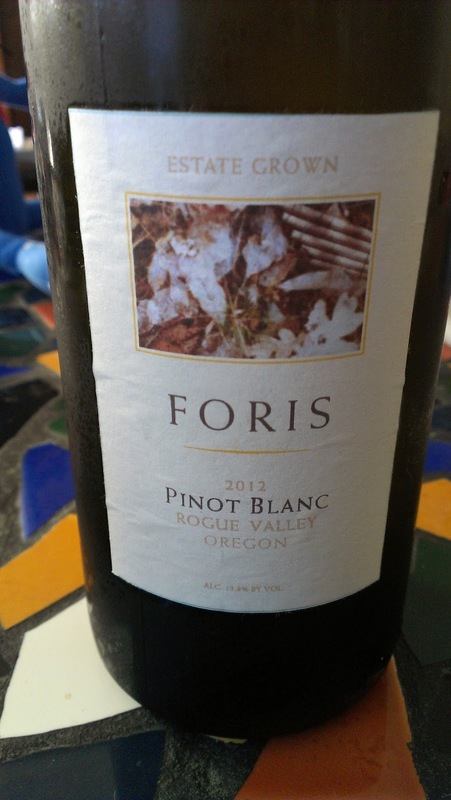 Pinot Blanc is a variety I'd like to see more of, particularly in the Willamette Valley but this one from Southern Oregon's Rogue Valley is a lot of fun to drink. The aromatics are richly floral, with under-ripe stone fruit making a strong push. The sur lie treatment, 5 to 6 months according to the information I could find on the 2011, probably similar for this vintage, crafts a medium bodied richly textured wine, that, with the great acidity and minerality of the Pinot Blanc fruit gives you the perfect set up for oysters, or throw a couple of halibut on the grill. It's summer, it's damn near perfect and this wine is ready. At $13.50 it's a no-brainer. I'm not sure about the wines availability but you can get it from their website. Wine and Food?!?! Wine is Food!!! !